Like I said on Instagram, the best things in life are free refills of items you already own and love! I have long been hoarding Johnson's Baby products, and when the Milk+Oats series came out, I also hoarded as usual. Now, they are on Sample Room and I was sent a thoughtful gift basket by the folks of Sample Room and JnJ. I thought I'd talk about my experience more today! So this is the body wash that they sent. The Johnson's Baby Milk+Oats bath can be acquired for 50 points on Sample Room for a 200ml bottle. This 200mL (Php100.75) bottle is the smallest as there is a 600mL (Php221.50) pouch and a 1000mL bottle (Php412.50). This is one of my current body washes in my bathroom (I have several at a time mehehe). I have been using Milk+Rice to clean my brushes for like ages and I bought the biggest size (it's 600mL I think). I bought it two years ago during an SM 3 day sale. When I ran out of that I switched to Milk+Oats for the sake of trying it. The time that my Milk+Rice ran out coincided with the release of Milk+Oats, so why not try the new one, right? It was soooo hard to get hold of this the first time it was released! I had to wait for two separate occasions to get my giant refill pouches. It was sold out like everywhere. So for this product, it has this almond like smell. But basically it really smells like how oat infused products will smell like. Take this as a baby-fied version of Aveeno, but with a sliiiightly more prominent and sliiightly more youthful fragrance. I say slightly because this still smells subtle like most oat products. This doesn't seem to be something that endeavors to be overpowering. Don't expect an overtly powdery, frilly and strong baby fragrance. I think it's good for those who do not want to use overpowering products on their babies. I know of the breed of parents who are for the "less is more" movement and I think this product is perfect for that breed. The neutrality of this product's fragrance makes it suitable to be used by adults just like how Aveeno can be used by babies. For those who like overtly fragrant baby products, you can use this but perhaps it must be in conjunction with the lotion. Or on the other hand Baby Bath and Milk+Rice are good choices for those who want that "baby smell". Texture wise this is similar to all the other body washes that Johnsons baby has. But this is much more moisturizing than the other body gels that Johnson's baby makes. This is a far cry from the Baby Bath and the Head To Toe wash in terms of moisture and lather. Personally I find this to be as moisturizing as Milk+Rice, though a little bit more moisturizing. This is a bit more rich in lather than the ones not in the Milk collection though I recommend one to use a bath puff so as not to use up too much product each time. This is not as lathering as one would expect brands really targeted for adults to behave, but moisture wise this feels sooo moisturizing. I feel like I used a bath oil or something to that effect because this is thaaat moisturizing. Contrary to the mental image people have with baby products (that they're just there to make the baby smell good and nothing else), this is very nourishing for the skin. It's like using a moisturizing adult body wash. But it's just the right kind of supple, never too overpowering for a baby. It's doesn't leave any heavy feeling, no oily films. Nothing to annoy a baby. For those who are interested, this is the back label. And this is the lotion that they sent! 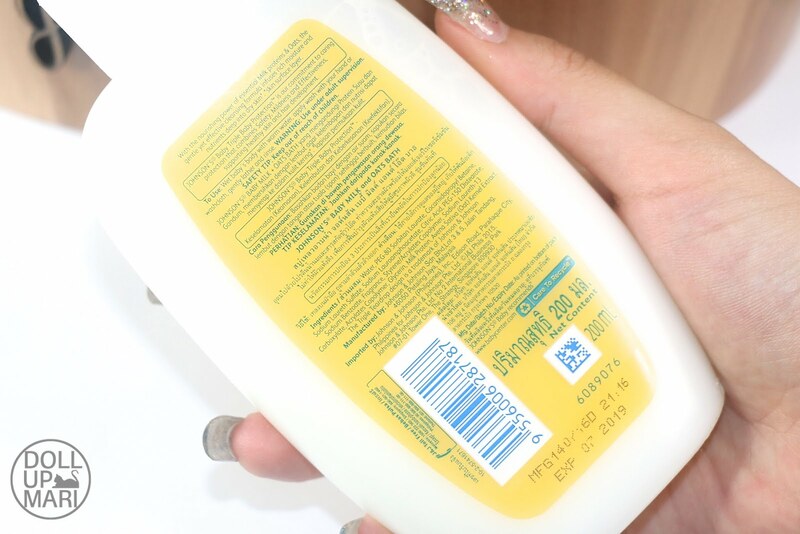 This Johnson's Milk+Oats lotion is 70 points at Sample Room or Php168 for this 200mL bottle. There is also a 500mL bottle for Php352. This smells much perkier and more baby like than the body wash, but in general it still smells of oats and not of a powdery musk that we usually imagine with baby products. I find this to be quite relaxing to sniff, a lot like Johnson's Baby's bedtime series. Texture wise this doesn't feel anything like the colloidal oatmeal formula that Aveeno has. This behaves a lot like Milk+Rice, it's a milky kind of emulsion with a slightly whipped and fluffy texture. Absorbance wise this also doesn't swipe on like Aveeno. Aveeno rubs on like a body butter then dries into like how a mattifying primer would feel like. This doesn't have that colloidal property to it, and feels wise this applies like other Johnson's Baby lotions. It swipes smoothly and easily absorbs for skin that's immediately soft and supple. Barrier feels wise, this one doesn't have that sort of barrier feeling that Aveeno gives, though I personally can't dictate if that's supposed to be a good or a bad thing. Some people like bodycare products that give that barrier feeling while some don't; each to his own. One of the things I learned from my own school (yeahp from my management degree) is that there is always this misconception that a baby's skin is perfect and the "status quo" should not be shifted in any way. Or that "kaartehan" should be kept to the barest minimum as body care products like lotion and oil will "expose the baby to chemicals." As such many people do not want to use a lot of products on their babies, or some stop after soap. Some don't even bother to step out of the idea of drying family bar soaps. BUUUUTTT in reality, a baby's skin is just as imperfect and as needy as an adult's skin, and it doesn't mean that they're tiny and just chilling out at home that they needn't use bodycare products anymore. Whatever problems that we may be encountering in the Philippine heat is something that a baby is also encountering, the only difference being that a baby will not be able to eloquently express the dryness he or she feels. So for those who may be thinking that lotion is unnecessary, think again. For those who might think that body wash is too "pangmatanda" and too "maarte" for a baby and that drying family bar soap should be used, think again. I personally use body wash as I find body bars too drying all the time. I also find it easier to clean our shower floor when I use body wash over bar soaps as there is no soap scum produced. I personally also cling onto lotion for dear life everyday for moisturized skin that's soft and supple and to avoid chafing. Soooooo if I had kids of my own, I would honestly do the same routine on them that I do on myself because they'd also have the same skin issues. If the weather or situation is calling for a light lotion, I'd use it; for heavy body butter, I'd use that, too. I do see myself still using a lot of adult brands in conjunction with Johnson's, but in essence the routine should ideally be the same. Why should I deprive my future kids of the nourishment they need? It'd be so selfish of me if I were to do so. As for the chemicals part, honestly, everything in this world is a chemical. Take it from someone who spent two years in a BS Chemistry program in university. Everything can be lethal, including water. But do we deprive babies of water? Nope. Because we know that humans need water and babies are humans. So why deprive babies of lotion and body wash when they are humans who need it to? And for those who are interested, here is the label. I know that there have been parents who have been staying away from Johnson's Baby as of late due to the fragrances its products have. But personally, unless your child has allergies to fragrance determined by your doctor, I still find it better to use products like these over the unscented ones. 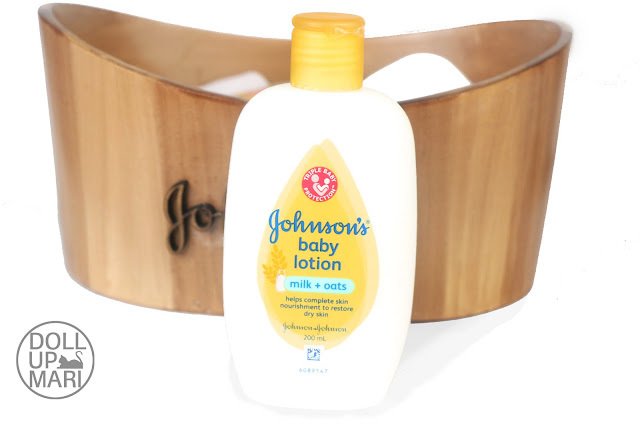 I always trust Johnson's Baby because it's one of the oldest, if not the oldest, baby brand out there. There has already been so much research that they have put in on babies and their own products, and personally I have more trust onto companies who are big and old enough to have money and time for extensive scientific research rather than companies who churn out brands with scientific dermatological brand equities but not really the real extensive scientific research. So many brands nowadays have these "less is more" and "dermatologist recommended" equities but I can't really see the research they actually use to back up their claims. Going back, that is why I always trust that the fragrances Johnson's baby uses are safe for babies. To add, scents help with baby's memory formation, and like us adults, scents can also have a relaxing aromatherapy on babies. Johnson's spends a lot of time researching fragrances that help calm, soothe, and generally make babies feel better, so I really am an advocate for fragrance in baby products if it's allowed by the doctor. And I don't know if it's just me, but scent is a marker that I personally use as a hallmark of hygiene and cleanliness. I always think that a fragrant baby is a clean baby, and of course we want babies to be clean. Of course each mother does her best according to the circumstances, but for me I think if I have kids I'd be old school and I'd want them to smell like powder and frills. To sum it all up, they actually sent over this information card. 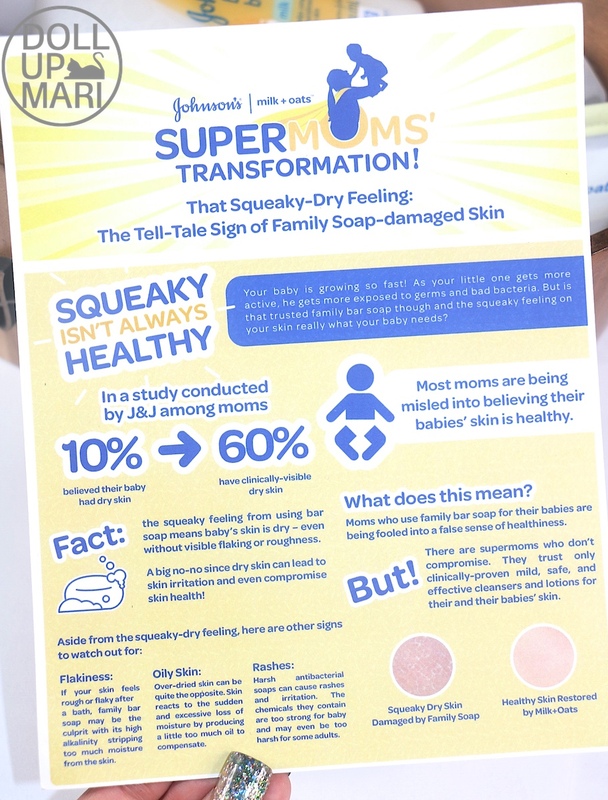 And personally my take on this card is that if we ourselves stay away from drying family bar soaps and cling onto lotions, creams, body washes, and all sorts of body care products for dear life, why deprive babies of these? They also have the same skin needs as we do, they just aren't able to articulate the issues they face (for obvious reasons). And sooo moving forward to the shampoo, this is their newest Active Kids Shiny Drops shampoo. This comes in 100mL (Php73), 200mL(Php161) and 300mL (Php268) bottles, and it costs 60 points on Sample Room to get a 200mL sample. This is something that may not have dominated the world yet, but I'm quite sure it will. Sooooo different ethnicities have different problems. As a predominantly Chinese person, I have straight to wavy hair with no frizz issues, but it's always very limp. For some of my Pinoy friends, their main issue is frizziness. The same is true for Latinas and Arabs, hence the very sophisticated level of haircare offerings for kids in their regions. In the Philippines there also seems to be a sad mindset that using adult haircare products on kids is "kaartehan" and "kalandian." 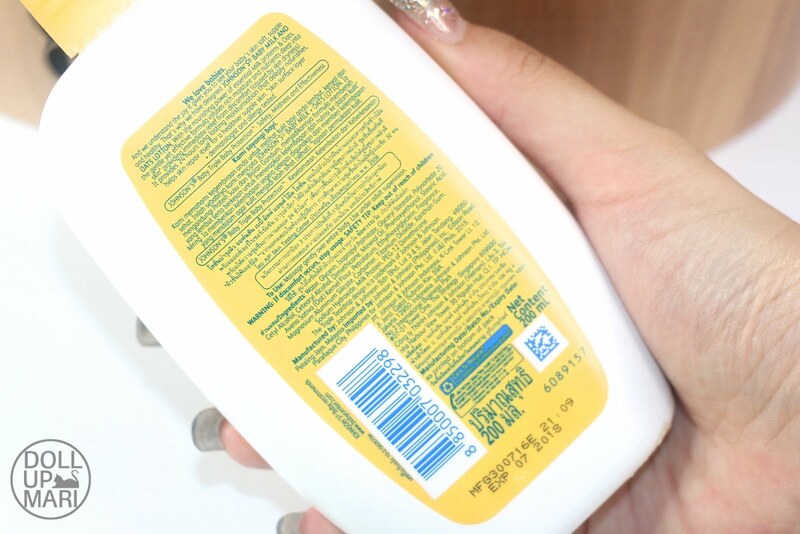 When I was younger ("younger" coz I'm still young hhahahaha), I remember wanting to try adult haircare brands and to use conditioner but I remember all sorts of grown ups telling me that it's "malandi" and "maarte" to do so. And that somehow in my greed my hair will get fried by all the chemicals in those "adult" haircare brands. Now that I'm a bit older I honestly have no idea how these titas can have such a mindset. If they can have their Longchamp bags, then the kids should be able to get the kind of haircare they need. And that is why I am just so thankful Johnson's Baby churned out this little treasure. It is something that I personally think will bridge the cultural gap here in the Philippines. While some kids have really nice hair, I got over the "perfect little girl hair" stage and had dry hair even early on. Just like how baby skin goes through the same issues as adult skin, children's hair also goes through the same thing adults' hair does. Little girls need something highly conditioning even at that stage, and need something that comes with the gentleness for kids that grown ups will find to be more agreeable. And this product is it. It really is this one. If you will take time to read the tiny labels at the back, this little baby has Argan oil and is actually not a Pinoy formulation. It is a Brazilian formulation in order to help girls of that ethnicity deal with frizziness even at a young age. In the Emirates there apparently are deep conditioners for kids as young as 5 or 6 years old due to the kind of hair their ethnicity has, so that's why Brazil also has something similar. And I think that it's so nice they brought in this formula because for one, Brazil is so good with hair and we're so enamored with argan oil as of late. Secondly, kids here in the Philippines also deal with a lot of frizziness so it just makes sense to make something to address that. Formulation wise, this really behaves differently compared to all the other shampoos Johnson's Baby currently has in the Philippine market. This is not a clear, gel like shampoo. This instead has a pearly color. It's like an adult's shampoo when it comes to the overall look. It smells like a dream I swear. It smells nothing like babies or kids, actually. It smells like expensive perfume, or perhaps what high end fragrances would characterize as a woodsy tropical paradise kind of fragtance. 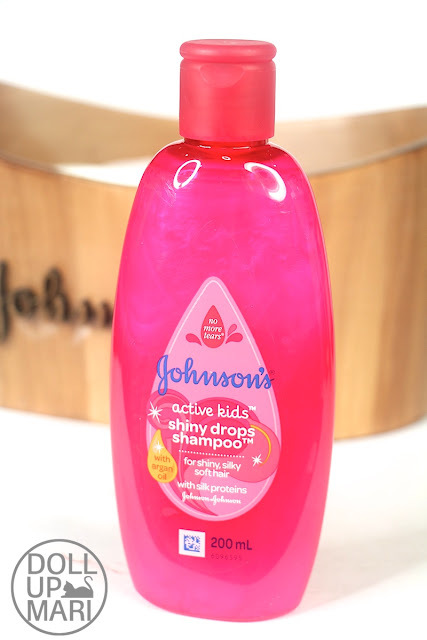 If I put this in a bottle of an adult's shampoo, no one will ever know it's Johnson's baby. Aaaaand I know the next thought you have in mind is if it's not conditioning, it will still stick out like a sore thumb if an adult uses it. Buuuut to my shock, this is extremely nourishing. It is a conditioning shampoo and should not be confused with all the other shampoos Johnson's Baby has. I have bleached hair right now and the bleach has made my hair so discerning towards haircare. When I used this shampoo, it's like I used the usual conditioning shampoos that I use. My hair normally would be so unmanageable after shampoo if the shampoo is poor, but to my shock, my hair was manageable after using this. I still went on with using deep conditioner, hair oil, and leave on conditioner after as usual, but this stood out with how conditioning this is. If you have virgin hair or dyed hair without bleach, I am sure you will love this. It smells super nice and it will surely make your hair soft if it was able to make my uncontrollably dry hair manageable. I am soooo gonna write more Johnson's Baby posts because this is prolly just like one portion of my whooole collection. Till then, don't forget to grab your goods in store or from Sample Room!